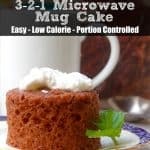 Weight Watchers New Program Changes for 2018? US Freestyle! UK Flex! 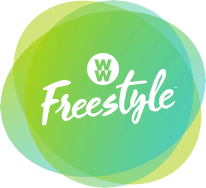 Have you caught any of the scuttlebutt regarding changes to the WW Freestyle Program for 2018? 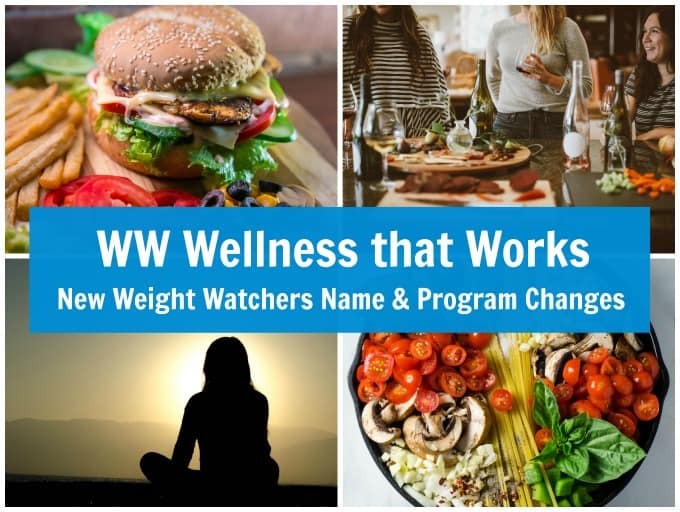 The internet and social media are buzzing with rumors and speculation about the changes that Weight Watchers will unveil here in the US on December 3, 2017. One big clue that this year’s change is significant is that all meeting room cookbooks have been deeply discounted. Always a sign of changes to come. ‘WW Flex expands our range of zero Points foods to guide members toward a healthier pattern of eating,’ says Zoe Griffiths, Head of Programme and Public Health at Weight Watchers. Rumor has it that “Flex” will be called “Freestyle” here in the US. According to Danica from Danica’s Daily , WW filed for that Trademark earlier this year and I’ve just met with a very reliable source who confirmed it. According to many online sites the new Weight Watchers program for 2018 will be called Freestyle and will be rolled out beginning December 3, 2017. 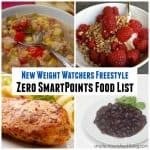 An updated version of SmartPoints that will expand zero points foods beyond fruits and vegetables (including corn and peas) to include lean sources of protein such as beans, chicken breast, eggs, fish, lentils, shellfish, turkey breast, tofu and nonfat plain unsweetened yogurt. Interestingly, the current issue of Weight Watchers magazine (affiliate link) includes a detailed article about the power of protein for weight loss. Continuing with the focus of WW SmartPoints & Beyond the Scale launched in 2015, it appears that the plan changes will go even further to encourage people to make healthier choices and nourish their whole selves. For those of you not already familiar with SmartPoints, the SmartPoints system uses the latest nutritional science to make healthy eating as simple as possible. It nudges you toward making healthy choices so eat better and lose weight. Every food and drink has a SmartPoints value: a number that is based on calories, protein, sugar and saturated fat. The baseline SmartPoints value is based on the food’s calories. 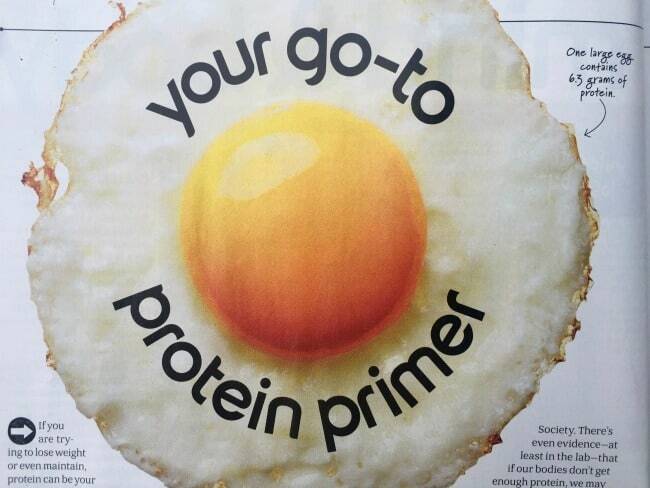 Protein lowers the SmartPoints value. Saturated fat and sugar increase the SmartPoints value. Every day you get a SmartPoints Budget to spend on any foods you want. Your Daily SmartPoints Budget is calculated based on your age, height, weight and gender with a minimum daily value of 23. You only need to track the foods that have a SmartPoints value. 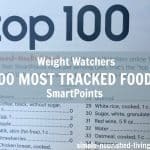 You don’t need to weigh, measure or track 0 SmartPoints foods. Enjoy a greatly expanded list of 0 SmartPoints go-to foods. Every week you also get a Weekly SmartPoints Budget that you can think of as “overdraft” protection. They are there to use when you go over your Daily SmartPoints budget. You can roll over up to four (4) unused Daily SmartPoints into your Weekly SmartPoints. Use them or not as you see fit. 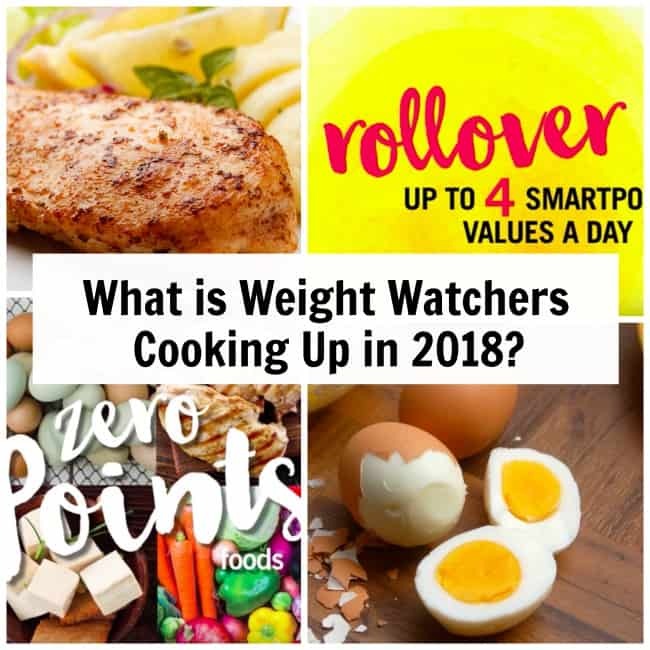 Most sources, including the WW UK website say that on the new Weight Watchers plan for 2018, you will be able to roll over up to 4 SmartPoints daily if you do not use them. I love this idea since it means you could adjust your points to match the natural rhythms and fluctuations of your appetite. There’s talk of a SmartPoints friendly home meal delivery system similar to those offered by companies like Blue Apron or Hello Fresh, several variations of which are being tested in various regions of the country. And just today Weight Watchers unveiled its new line of diet wine called Cense, starting with a sauvignon blanc. Lower in alcohol and calories, the new white wine is “is rich in flavor” but contains only 85 calories per a 5 fluid ounce serving (the equivalent of 3 Weight Watchers SmartPoints), while many other white wines contain about 120 calories (4 SmartPoints) per the same serving size. At this point, I’m taking a wait and see attitude, but it seems to me that this plan is more like Simply Filling (which I love) than any other program in recent history. While I love the idea of more zero points foods to encourage healthy eating, I am not looking forward to having to update all my favorite recipes to reflect all the points value changes. 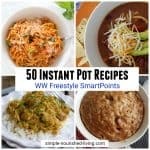 However, I am excited that many of my favorite recipes include lots of 0 SmartPoints foods so they will go down in value. 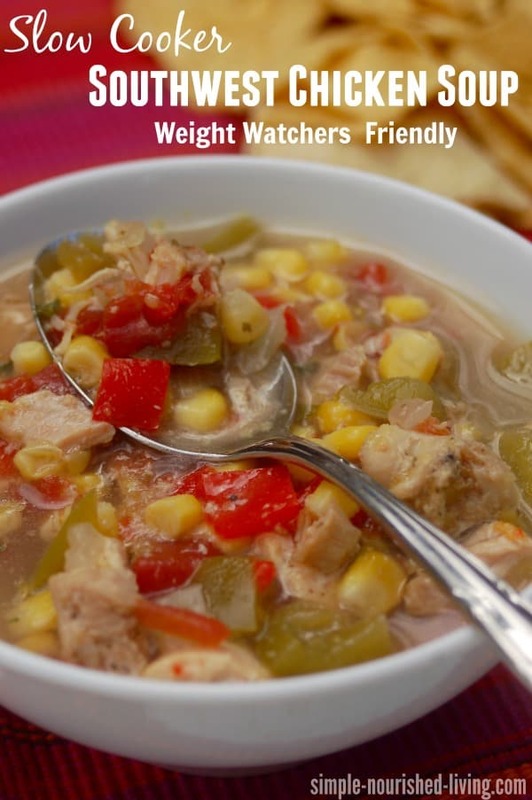 In fact I just calculated the this favorite Skinny Slow Cooker Southwest Chicken Soup, which is now *0 SmartPoints (instead of *3 SmartPoints)! Weight Watchers has been around for more than 50 years. 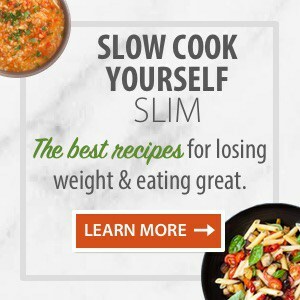 There have been many changes to the program through the decades to reflect the latest nutrition and weight loss science. The latest program is vastly different from the original plan from 1963 or the Quick Start Plan from the late 1980s / early 1990s that I followed to become a WW lifetime member. All of them have worked and I’m sure this one will too, though adjusting to the changes can be a struggle, especially for those who don’t like change. What have you heard about the new plan? Please leave a comment if you have any details or insights to share. So are all the other things you eat not listed on the 0 point list still calculated by the smart point system? I’m thrilled to attend my WW Meeting this coming week. I became a Lifetime Member in April 1977 and have had the usual ups and downs that most of us go through, but I have loved every change that’s been made with the program; so glad to be done with liver, tickled when bananas became free, then fruits & most veggies free….and now eggs, yogurt, lean chicken, turkey, fish & beans….Yahoooooo!! I’ve maintained my goal, but haven’t been to a Class since March 2017….I’m 3# over my goal and will have to pay for this coming meeting, but I can hardly wait!! Thank you for steering me back towards WW!! The new freestyle plan is right up my alley. I’m someone who already eats eggs, chicken, and beans and now they count as ZERO sp ?????? Freestyle is cleaner. The less packaged processed foods is better . Thanks Kim! Yes, I’m very excited that this is the best WW plan yet, steering us toward cleaner, healthier, more nourishing food and healthy balanced way of life. Is anyone else confused with this?! I find it near impossible to get all my points in…. It doesn’t make sense to me…. I joined WW back in February 2017 so far I’ve lost 50 lbs. I really like the sp system but with this new system I just don’t know. As someone mentioned before I like being able to track everything and with my points decreasing to 23 I’m not sure I will continue to be as successful. I don’t really eat much eggs, beans and chicken. So this wasn’t really a hit for me. Is there a way that if you don’t want to switch over to the new program that you can stay with the old one ? Having done WW on and off since 1970, I’ve seen an amazing number of plans. What I’ve noticed is that we’re never told that we have to give up the old one if it’s working for us. A new one may be touted, and may indeed work better for many folks, but if what you’re doing is working, I believe you’re free to continue doing just that. . .or so have said each of the leaders I’ve worked with over the years. Martha, please correct or just delete this one if I’m wrong. I’m not looking to mislead anybody. In the past we were able to stick with an older version if it was working for us, even when a new one was unveiled. Is this still true? Hi Gail, It’s much more difficult to stick with an old plan if you are using the online program or apps since they reflect only the new points system. I imagine, if you were doing things manually, you could continue to use your paper tracker/pocket guide with the older points values. There are also APPs available online (not sanctioned by WW) that provide the old points values. Hope this makes sense. Hi Mariah, The minimum daily FREESTYLE SP target is now 23 down from 30. How many for weeklies please Martha if 23 is daily points? Hi Clare, the weekly points vary from person to person depending on age, height, weight, gender and activity level. I am 66, 5 ft , and 175lbs. Help me, I am newc! I have the WW app! How many SmartPoints for weekly budget now, if dailies are 23 please? I belong to Watchers and enjoy the ease of the program. We have a woman in our class that has allergies to eggs and dairy. We are looking for ideas for her for breakfast. She would like to eat a large breakfast but is having trouble. Any help would be appreciated. Thanks so much. 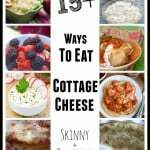 If I have already purchased all of your cookbooks, is there a way to find out if any recipes changed smart points without having to purchase all of them again? Love the books! Martha. 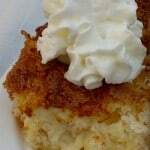 I know you sent out an updated list of smart points for those of us who had purchased your cookbooks. I must have deleted my e-mail and am wondering if there is some place on your site that I can update the points. Thank you for your help, sorry to be a bother?? I subscribed to A Month of Meal Plans for $7.99 and Comfort Food Favorites eCookbook for $4.99 back on September 12, 2017. I have not used any of this because I am slightly computer illiterate. How do I get to these things? Hi Mary, The eCookbooks would have been emailed to you back on September 12, 2017. Check your emails including your junk/spam folders. If you can’t locate them, send an email to support@simple-nourished-living.com providing your contact information and asking that they be re-sent. What is your opinion of Simply Filling vs Freestyle? It seems like SF has a larger 0 point list, including dark chicken meat, whole grain pastas and brown rice. I’m just starting and I’m thinking I’ll go with SF but would love your input. Hi Robin, Simply Filling / No Count is actually an option within the WW Freestyle Program. Following the Simply Filling technique means you eat exclusively from the Simply Filling Foods list without counting the Freestyle SmartPoints values of those foods. You can choose to follow it for a day, a week or more; whatever works for you. When you eat something not on the list you use your Weekly Points. With Freestyle you can still eat dark meat chicken, whole grain pastas and brown rice. You use your daily SmartPoints budget for these foods. I think portion control is the biggest challenge to weight loss on the Simply Filling plan. Both have advantages/disadvantages. It’s really a personal choice. I would say try one for several weeks and if it doesn’t work for you, then try the other. Hope this helps. I ALSO HAVE BEEN WALKING 2-3 X WEEK 1-2 MILES .